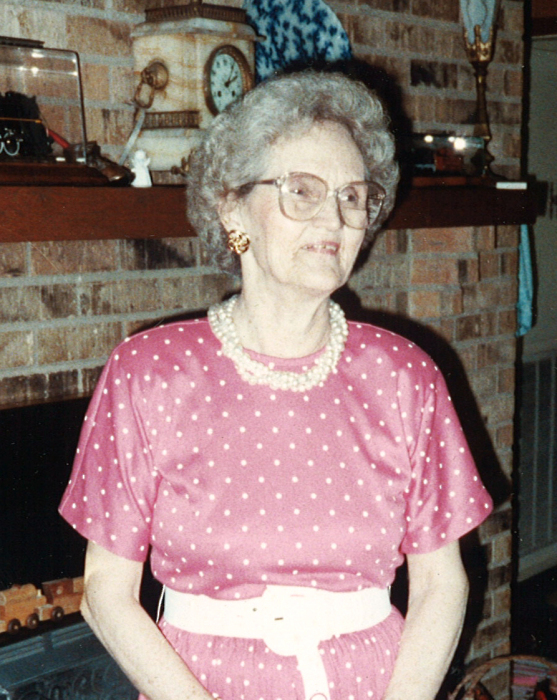 Obituary for Velma (Key) Buck | Jennings Funeral Homes, Inc.
VELMA (KEY) BUCK (Also known as BANNIE), age 94 of the Martha Washington Community, passed away on Sunday, October 21, 2018 at COMMUNITY CARE OF RUTHERFORD CO.
Funeral Service will be Wednesday, October 24, 2018 at 1:00 PM at the Jennings Funeral Homes-Clarkrange Chapel. Burial will follow in the CLARKRANGE CEMETERY. The family will receive friends on Wednesday, October 24, 2018 from 11:00 AM to 1:00 PM Jennings Funeral Homes-Clarkrange Chapel. Jennings Funeral Homes-Clarkrange Chapel in charge of Services for VELMA (KEY) BUCK (Also known as BANNIE) of the Martha Washington Community.